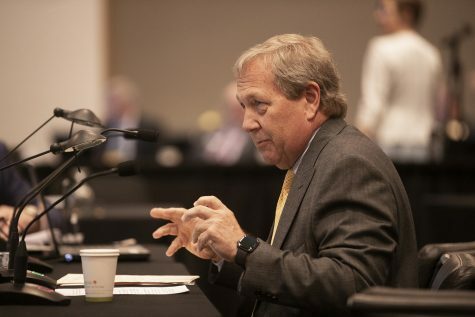 The state Board of Regents insists it will use findings from its August Tuition Task Force meetings to establish a predictable tuition plan, but the regents have not yet determined what that will look like in practice. 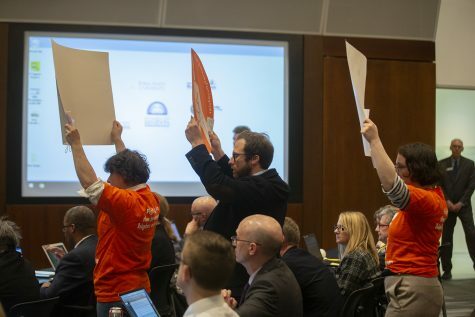 Midyear votes to approve tuition rates at the three universities governed by the state Board of Regents will be a thing of the past, regents say. 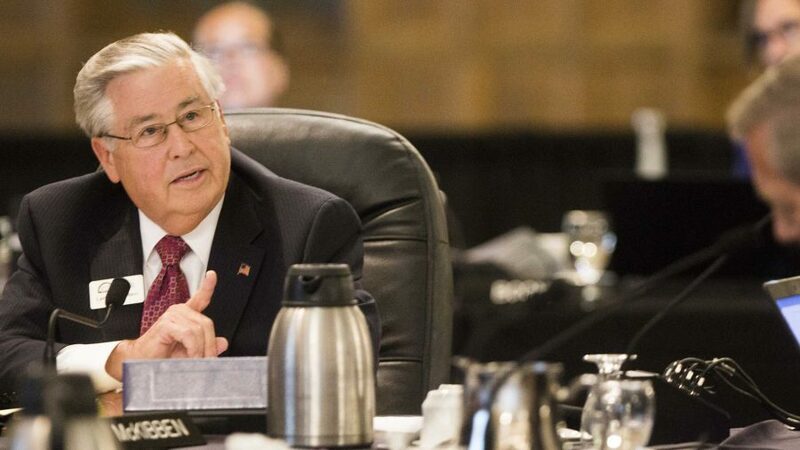 Consistent with what The Daily Iowan reported on Sept. 2, Regent Larry McKibben, the chair of the Tuition Task Force that convened on Iowa’s three public-university campuses this summer, said at the regents’ Sept. 7 meeting that the regents have not made any decisions based on the task force’s findings. 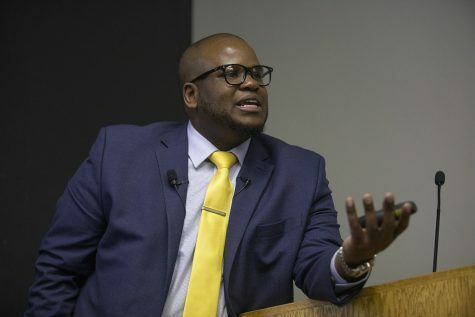 The regents will consider these findings in setting fall 2019 tuition rates for the University of Iowa, Iowa State University, and the University of Northern Iowa, he said. 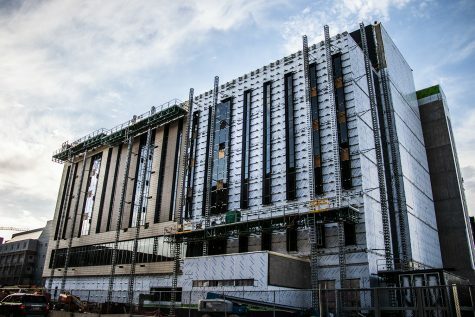 The first reading of those tuition rates will take place at the regents’ Oct. 19 meeting at UNI. 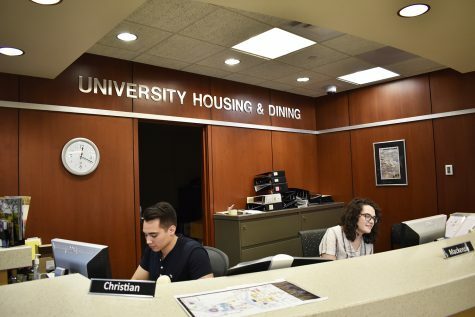 McKibben said the different needs of the universities will be factored into the proposed rates, as well as the concerns students expressed — which centered on predictability and affordability of tuition increases, boosting financial-aid offerings, and the long-term value of a degree. Working with students, institutions, state legislators, and stakeholders outside of academia to create a predictable tuition plan was the central focus of the task force’s work. 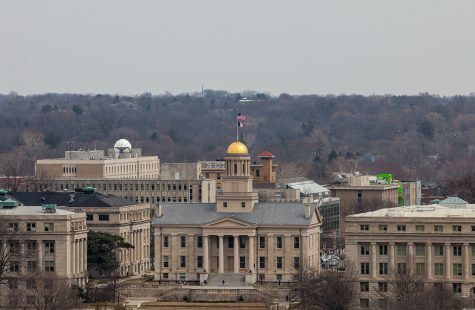 If the regents, institutions, and state Legislature fail to make this change, UI College of Medicine student Rob Humble said, it may mean the state will lose its young professionals who continue to work in the state after graduation. 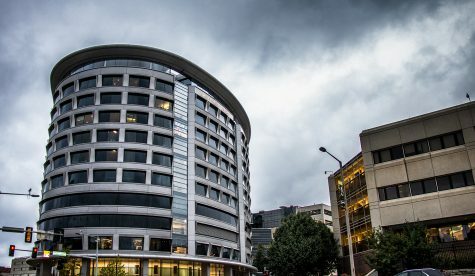 According to the college’s website, 50 percent of the 5,000 physicians who practice in Iowa received some or all of their medical education at the UI. “I don’t want to see young students priced out of an education,” he said. 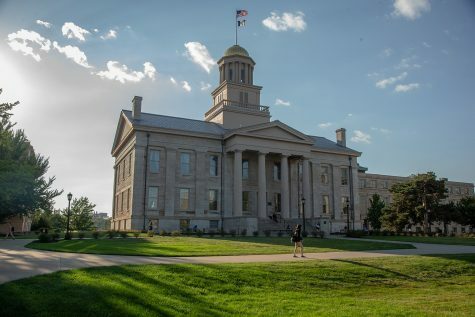 As the UI makes a push to bring tuition rates up higher to compete with the peer institutions it benchmarks itself against, UI graduate student Landon Elkind said if the UI continues to raise tuition, he wants to see a line-item list of what that tuition revenue funds. Harreld said it is too soon to see that detailed of a list for fiscal 2018. However, the UI currently publishes spreadsheets showing which areas of the university its funds are used. Now that the UI has finalized enrollment numbers for the fall of 2017, it will soon take those totals and compare those with projected enrollment totals to form the fiscal 2018 budget. 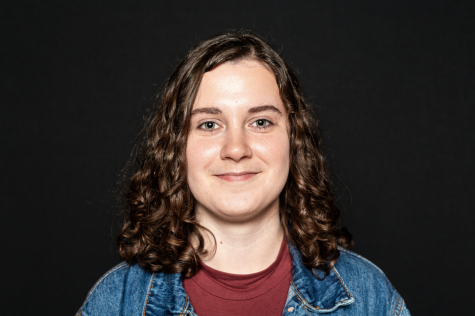 Finding a sustainable solution to the tuition issue, McKibben said, would involve a better balance of state support, institutional savings, and tuition adjustments. It simply comes down to whether higher education in Iowa is a priority.